MOLINE - James Rabchuk, assistant dean of the College of Arts and Sciences at Western Illinois University-Quad Cities, will present the Quad Cities Research and Scholarship Symposium's (QCRSS) annual "Pearls of Wisdom" lecture at 5 p.m. Wednesday, Nov. 1 on the WIU-QC campus, 3300 River Drive, Moline, in Riverfront Hall 103/104. The lecture is free and open to the public. Rabchuk's talk is titled "Embracing the Dark Side: Becoming an Administrator." "I will address the question of why any self-respecting Christian, scientist, and professor might wish to become an administrator," Rabchuk said. The annual QCRSS event, formerly known as "The Last Lecture", features a Western Illinois University employee sharing insights and "pearls of wisdom" gained along the course of his or career with the campus and greater Quad-Cities-area communities. 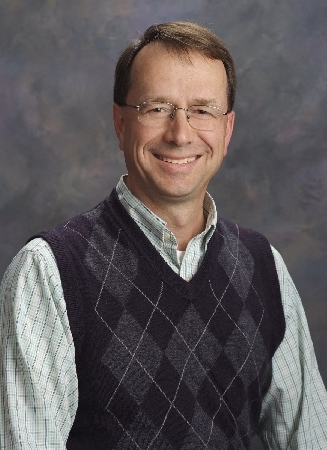 Rabchuk, who is also a physics professor in addition to his role as dean, earned his doctorate in physics from the University of Illinois at Chicago in 1995 and joined the WIU physics faculty in 1996. In addition to his work in the WIU Department of Physics, where he coordinated the department's successful pre-engineering program, Rabchuk has extensive experience in faculty governance, and has served as the CAS liaison for teacher education programs. While at Western, Rabchuk has helped coordinate workshops for west central Illinois high school physics teachers. He also coordinated a program of traveling demonstration shows and science labs. He has also been the assistant coordinator for WIU's secondary science education program, helping develop courses for the University's program. Rabchuk received his bachelor's degree in physics and Russian from Grinnell College in 1984, his high school teaching certificate in Russian and physics in 1986 and his Ph.D. in physics from the University of Illinois at Chicago in 1995. For more information on the event or the series, contact Mary Hogg, QCRSS co-chair and WIU-QC associate professor of communication, at M-Hogg@wiu.edu or (309) 762-3999, extension 62324.